This is a compilation of the two albums that The Traveling Wilburys released at the end of the eighties. They were a "supergroup" made up of Tom Petty, Roy Orbison, Bob Dylan, Jeff Lynne and George Harrison. They never played up to their "superness", however, just acting like any other regular group of guys who played for the fun of it, which made them quite refreshing. No goes of indulgent self-importance. It was all very low-key. "Handle with Care" is a well-known hit single, with Petty and Lynne to the fore, containing a great, hooky ELO-like refrain. "Dirty World" is a Band-esque Dylan mid-paced rocker with some excellent brass backing. It is the match of many of the tracks Dylan put out on his own album in the mid-late eighties, to be honest. "Rattled" is a catchy piece of rocking blues, with some definitely Beatles-esque guitar from Harrison. "Last Night" is an appealing, reggae-influenced jaunty number. Orbison's distinct vocals are upfront on "Not Alone Any More". Personally, I have always found Orbison's voice somewhat whiny (I know this is heresy for many people - sorry) but this is a pleasant enough number. Dylan is back for the mournful "Congratulations". It would not have sounded out of place on "New Morning". It is another good Dylan song. "Heading For the Light" is a rocking Harrison number that sounds like something off "All Things Must Pass" but without the muffled "wall of sound" production. It still has lots of blaring saxophones though. They are back for the effervescent "Margarita" which eventually, after a lengthy introduction, has Dylan on vocals. There are some seriously bluesy guitar licks there too. "Tweeter And The Monkey Man" is supposed to be an affectionate Bruce Springsteen parody (it name-checks several songs and tells a tale of New Jersey no-goods). Sung by Dylan, it just sounds like a bluesy Dylan narrative to me. Musically, it has no real echoes of Springsteen. It is actually an atmospheric Dylan narrative. Imagine this on "Empire Burlesque" or "Under The Red Sky" it would have improved those albums no end. "End of The Line" features all of them on vocals except for Dylan on a country-ish mid-paced appealing rocker. That was the group's first album. Orbison had unfortunately passed away by now, so it left the four of them. "She's My Baby" is a vibrant, Dire Straits-ish rocker featuring all of them singing at one time or another. "Inside Out" is a chugging rocker with Dylan on vocals. This one is a bit forgettable. "If You Belonged To Me" is pretty much a Dylan song, with some lively harmonica and an enthusiastic, upbeat vocal. Again, this would have gone down well on his albums from the period. It is one of the best tracks on the compilation. "The Devil's Been Busy" is very much a Petty-sounding rocker with Dylan trying to rock on the vocal bit in the middle, not too convincingly, it has to be said. He picks up a bit towards the end and it turns into a good track. The chorus has airs of Springsteen's early nineties material. "7 Deadly Sins" is a Dylan number with a fifties mid-paced rock 'n roll melody. "Poor House" is a country rocker from Lynne and Petty with some weird-sounding slide guitar. "Where Were You Last Night" has Dylan and Harrison rocking at a sleepy pace. It is a pleasant enough song, but, overall, the first album's material is slightly better. "Cool Dry Place" is a bluesy Petty number that actually sounds very Dylanesque. "New Blue Moon" is a largely Harrison song with some trademark wailing guitar and again, those saxophones he loved in his seventies and eighties material. "You Took My Breath Away" uses that Harrison-esque big, brassy backing and adds a Petty vocal. 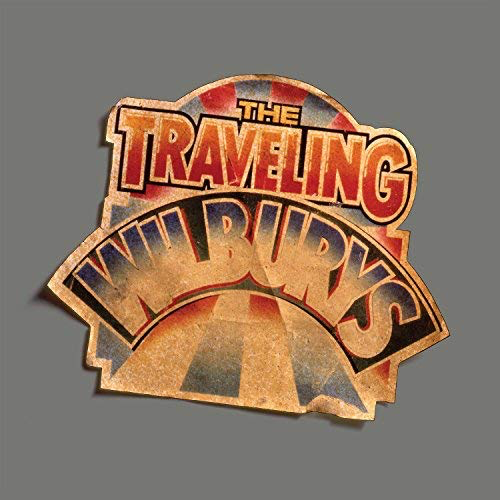 "Wilbury Twist" rocks it up and features them all in a goofy way to end what is an entertaining, enjoyable compilation. It is nothing mind-blowingly special but it is certainly listenable and recommended.